CHICAGO -- Police in Chicago have arrested a convicted murderer who escaped from an eastern Illinois jail and spent nearly three days on the run. 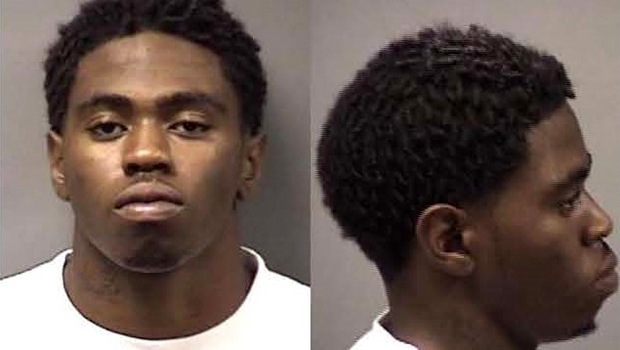 Chicago police officers arrested Kamron T. Taylor late Friday night after a foot chase. Taylor was found with a handgun. The Chicago Police Department says Taylor will be held on a gun charge until he is turned over to the Kankakee County Sheriff's Office. Kankakee County Sheriff Timothy Bukowski told reporters Saturday that a tattoo on Taylor's neck helped identify him. Taylor escaped before dawn Wednesday from the Jerome Combs Detention Center in Kankakee after beating a guard unconscious, stealing his uniform and driving off in his SUV. He was jailed there pending sentencing for shooting a man in the head during a robbery attempt.